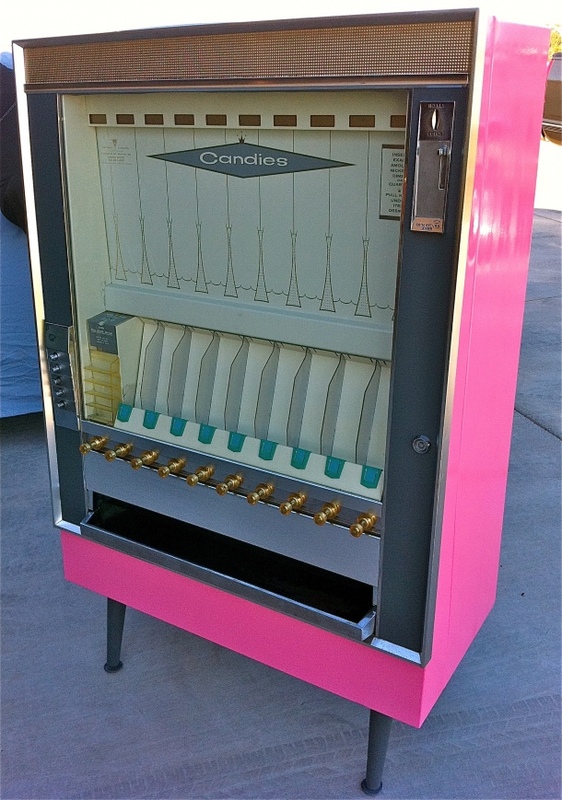 1964 National Candy Vending Machine Re-vamp! Here it is in its boring form....but there is potential. 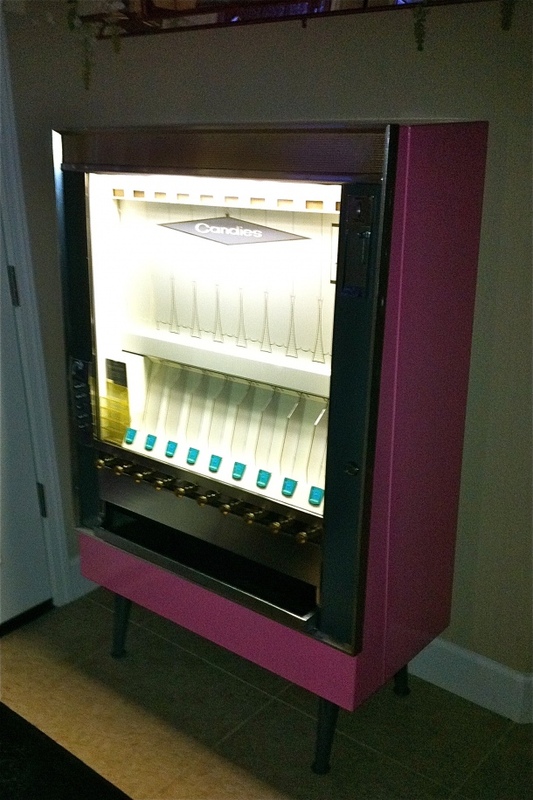 Well after a long day of work and effort this machine is ready to be brought into the house. This was an easy restoration. I think the color combination I chose works well and I think it looks soooo much better than beige. Anyways I hope you like it too! 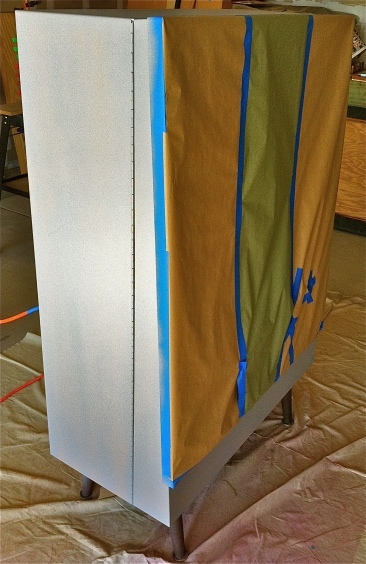 Here she is all taped up and primed, just waiting for paint! Here it is with lights on! This looks soooo awesome! You did such a wonderful job as usual :). I can’t wait to see it when I get home! Well thank you Mel. I cant wait till you see it too! It looks like a piece of candy itself! And so much more “you” than the other one. Love it! Thanks Vic! I am happy with the results. I just have to go get candy now! I better go buy some candy! 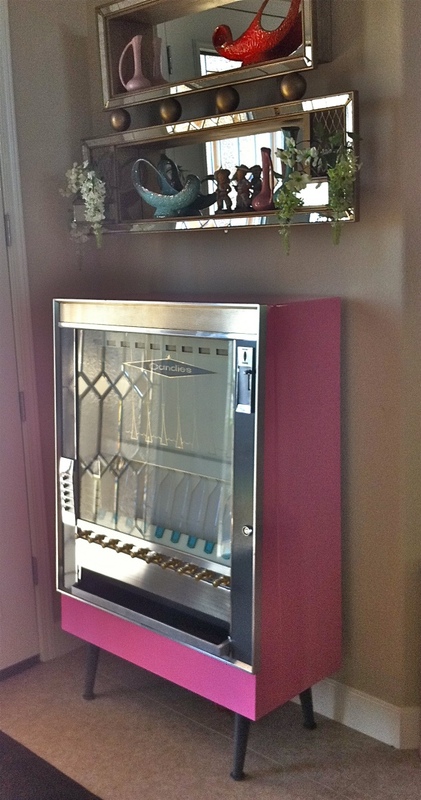 BTW – GORGEOUS shadow boxes above the candy machine too! Just like everything in your home….WOW! 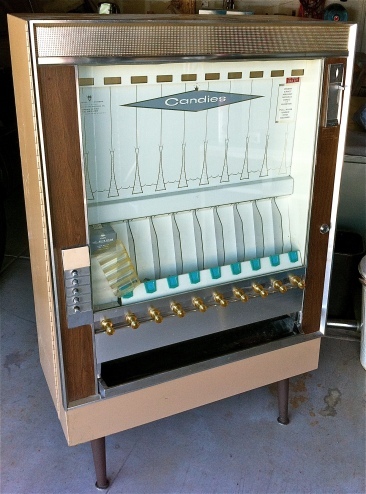 What’s one of these worth in working order ?